The marketing power of craft beer is only beginning to be recognized in the generic business world. 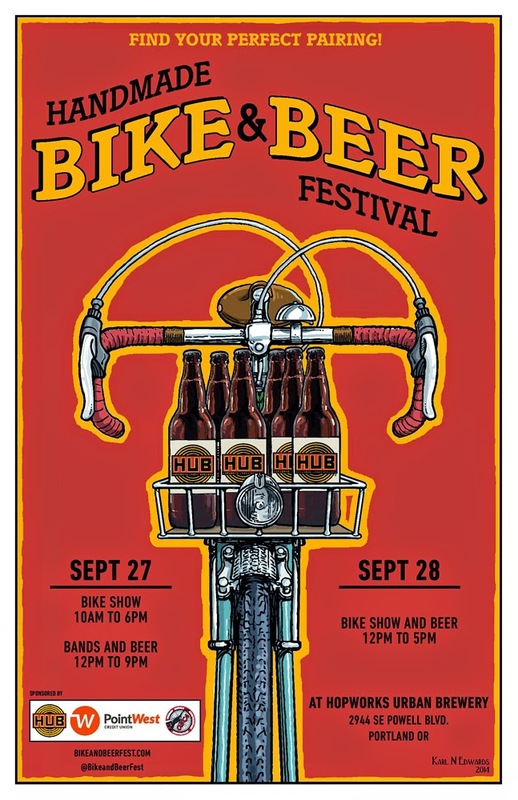 But last weekend's Beer and Bikes Festival at Hopworks Urban Brewery was a perfect example of the co-marketing concept at work. We will likely see more events like this moving forward. The event was actually a morphing of two events that already inhabited Portland's fall calendar: HUB's Biketobeerfest and the Oregon Handmade Bicycle Show. Both events had a solid following and were looking to lean on their commonality. If your vision is clear, you know Hopworks has been a friend to the cycling community since its inception in 2008. 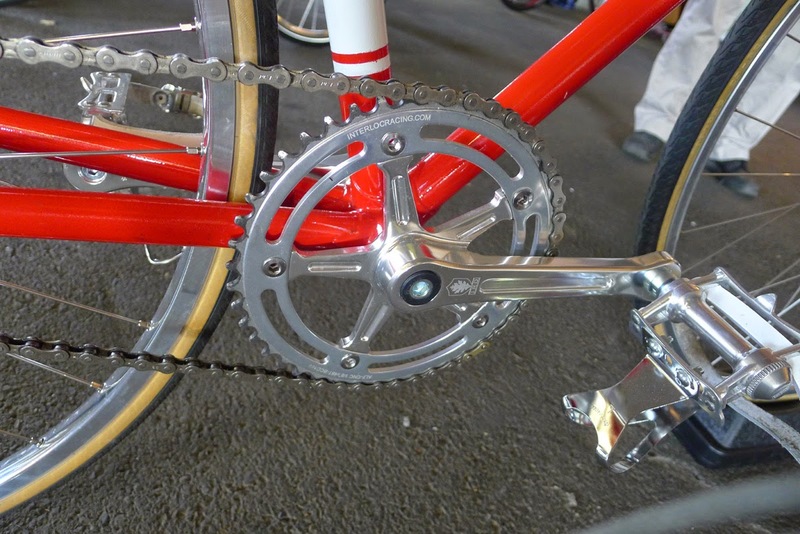 Bike frames are ever-present at both Hopworks locations. The Bike Bar on North Williams was located there precisely to serve as a watering hole for bike commuters. Plentiful bike parking is a feature at both pubs. 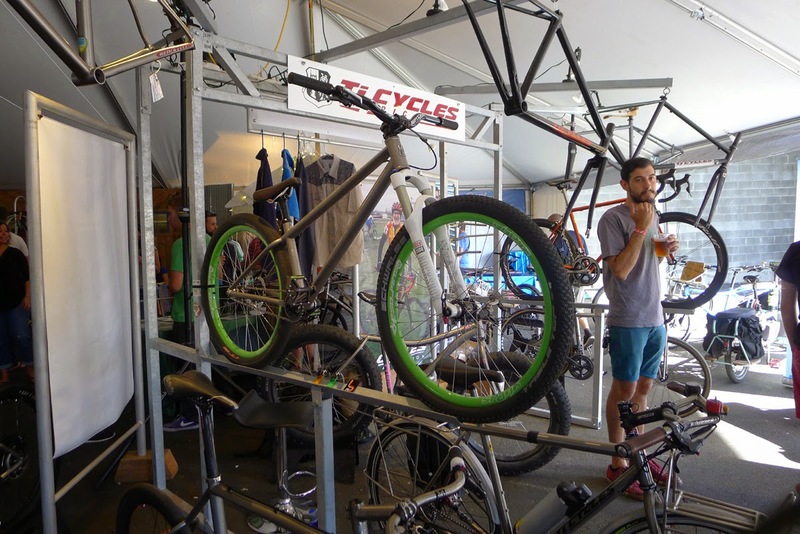 Given the environmental benefits of cycling, you might say Hopworks is a perfect fit for a Handmade Bicycle Show. From the beginning, founder Christian Ettinger has focused on green principles at HUB. Renovation of the building that houses the brewery and flagship pub leaned heavily on sustainable values, as does the brewery and kitchen. I first wrote about Hopworks here, in 2010. Although I saw a clear connection between bikes and beer, I honestly did not know what to expect when I arrived at the Beer and Bikes Festival. The pub wasn't part of the event and it was pretty packed. The festival area below, most of which is covered, had a trade show feel. Very interesting, I thought. On one side of the covered area, you had the beer. Lots of it. Most of the taps were pouring Hopworks beer, but there were others. Nearby, there were food stations serving the kinds of things you expect to see at an outdoor event. On the other side were the bikes. There were a number of vendors displaying their wares, including fully constructed road and cargo bikes, custom parts and a more. Booths were staffed mostly by smiling faces ready to talk about their products. Out in the courtyard, there were picnic and stand-up tables. And live music. It was a nice day, so a lot of people were enjoying the sunshine and the music. They also had a play area for kiddies, as this is a family-friendly event. This event was certainly the best example of craft beer co-marketing I've seen. The bike crowd and the beer crowd tend to overlap in this city, but this was a great opportunity to expand on that connection by getting so many folks together in one place. That's basically what Ettinger said when interviewed for TV. Big win, I think. 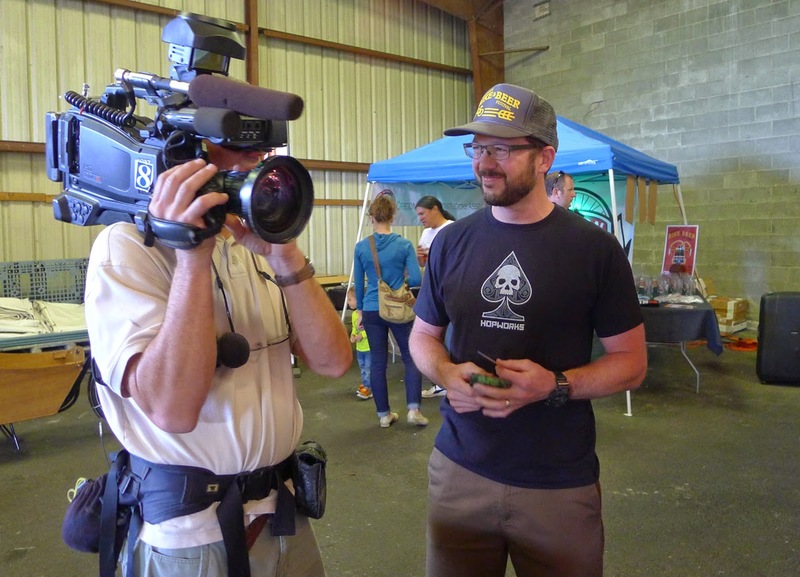 Thinking back, I realize many businesses engage in ongoing efforts to co-mingle with craft beer. You see this at various festivals in the form of booths where you can purchase take-home goods, sign up for wind power or do something similar. The Beer and Bike Fest is simply a monolithic version of what we see at the large festivals. Given the growing interest in craft beer, particularly among the younger crowd coveted by marketers in numerous industries, I suspect we will see more events like this one. I can easily see a festival at one of our convention centers where craft beer is combined with a green or not-so-green theme. And it will evolve from there. These are wild times in craft beer.